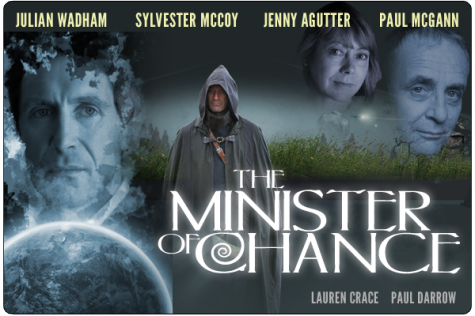 This week we visit the ‘Paludin Fields’ in the return of the Minister of Chance, a lush, imaginatively designed story of war, magic, and science on a strange planet at the edge of the Universe. ‘The Minister Of Chance‘ is an acclaimed ‘Doctor Who’ spin-off, introducing us to a world where the Ambassador Durian of Sezuan (Paul McGann) is dispatched to the primitive island nation of Tanto. However, his offers of friendship to the belligerent King (Mark Lewis) fall on deaf ears, and things take a turn for the very, very sinister. In the first two episodes, we meet The Minister and Kitty who unite together and are soon traveling in the strange and murderous marshes of Paludin Fields in search of the Sage of the Waves. Meanwhile, in Sezuan, Durian’s devious plans come to fruition. In the forests of Tanto, Professor Cantha sees the full extent of the Sezian’s assault on science.